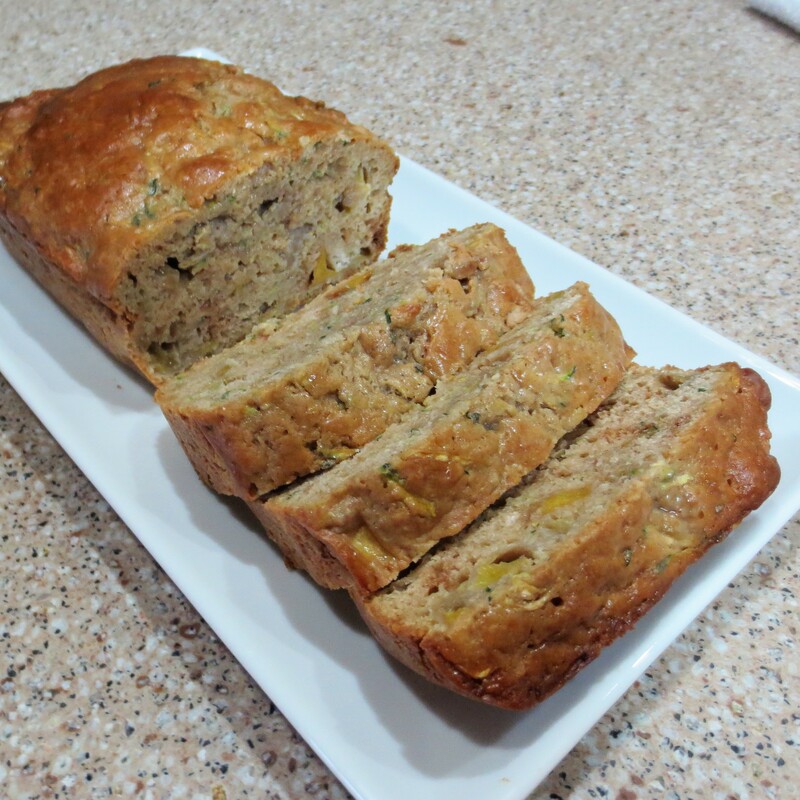 Peaches and Zucchini and Corn…Oh My! Summers’ bounty is keeping me busy, but I’m not complaining. I love it! To me, there are few things more satisfying than produce that comes straight from the farm, or better yet, my own garden. This year’s strawberry crop was lacking, to say the least. The weather was too cool and rainy for sun-loving strawberries, but all that rain set the stage for a splendid summer season. I don’t grow my own peaches, but we are fortunate enough to have a peach orchard not too far from here. You can’t buy peaches much fresher than that unless you pick them yourself! Luckily, when you purchase a large basket of peaches not all of them ripen at the same rate. That gives me time to relish a variety of peachy desserts. 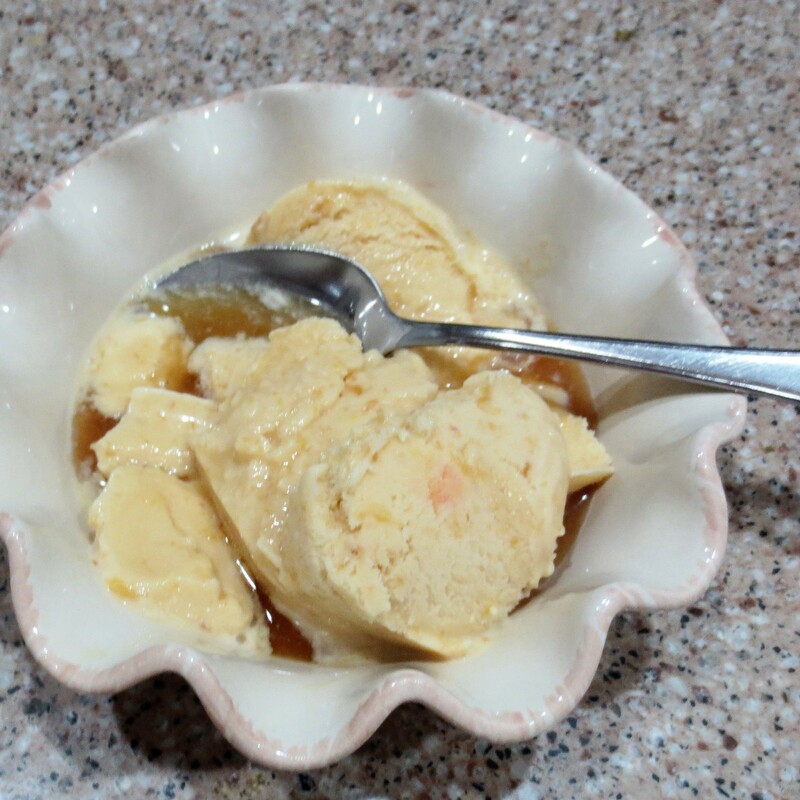 I always prepare some of our old favorites like Fresh Fruit Cobbler and Fresh Fruit Custard Ice Cream. Try the two of those together…warm juicy cobbler topped with cool creamy ice cream melting down the sides. That’s a bowl full of summer! 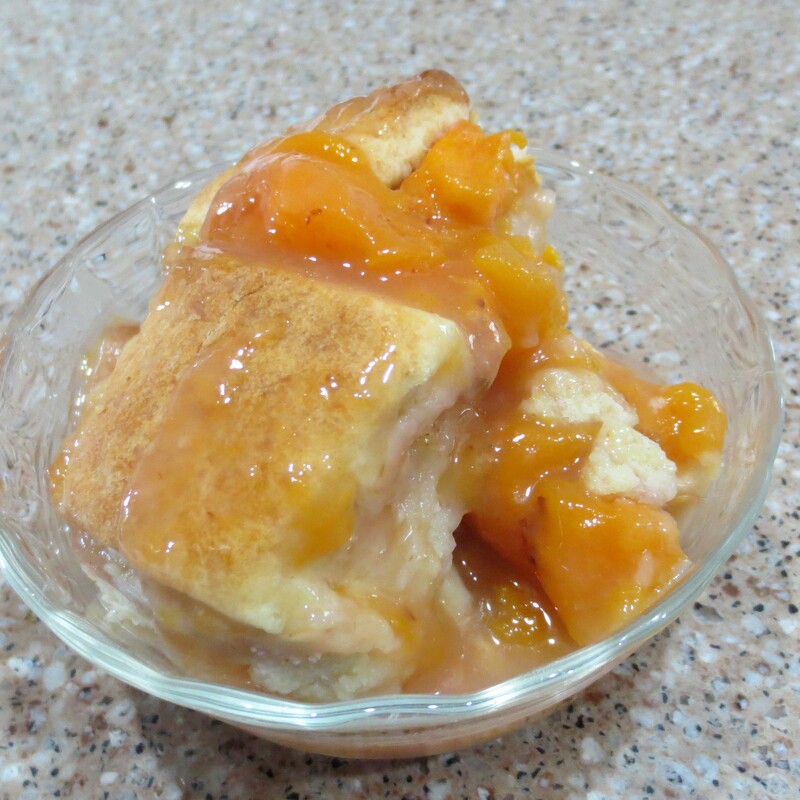 There are many more peach recipes on the Desserts page of this site if you’d like to check them out. 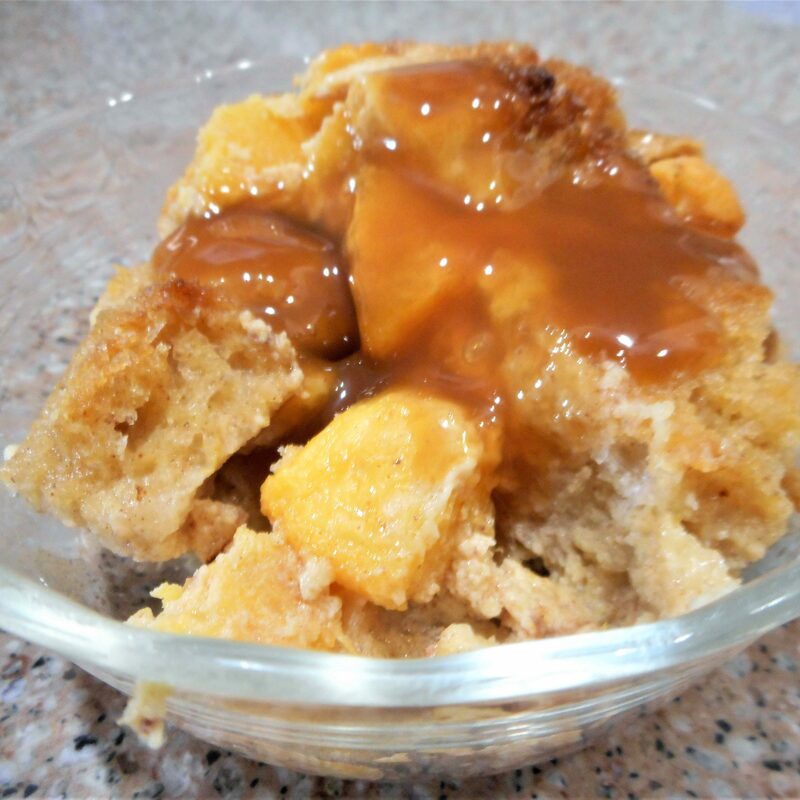 My newest is Peachy Bread Pudding with Caramel Sauce. I find it hard to let this decadent caramel sauce cool enough not to scorch my tongue, but trust me, it’s worth the wait. If you’re short on time though, purchased caramel sauce will work. 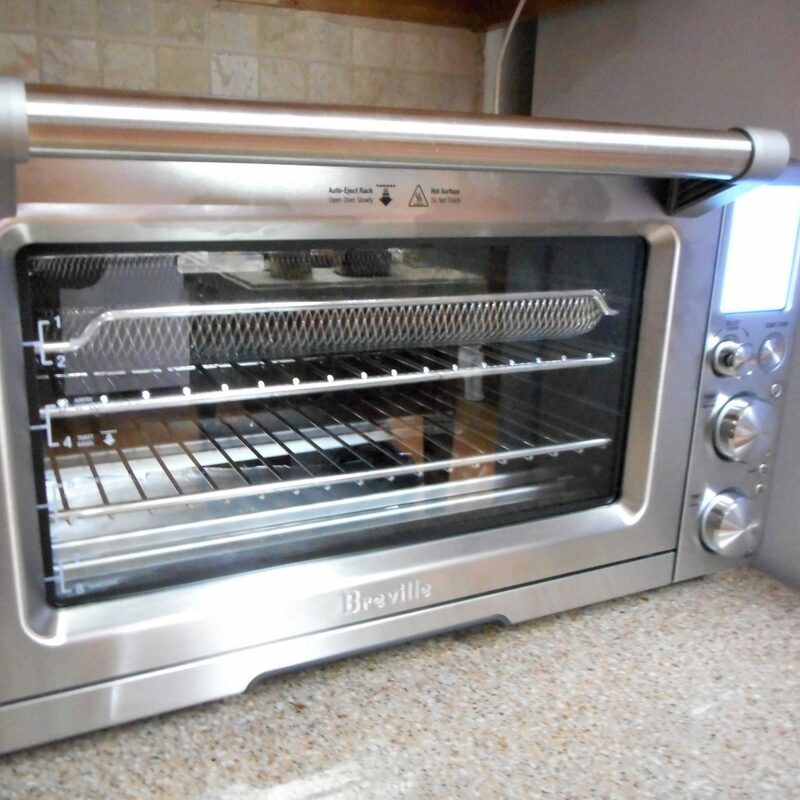 Warm it a bit in the microwave if you like. 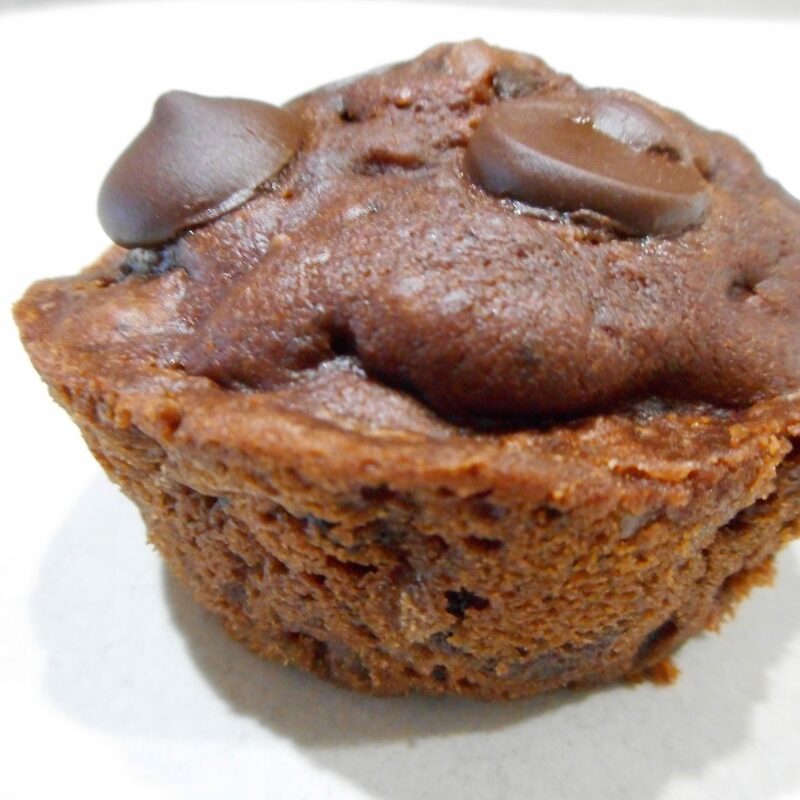 While you’re on the Dessert page, check out my Chocolate Zucchini Cake . I like to make cupcakes and freeze a few for later. As good as these are, Michael and I can’t eat our way through all 24 before they go bad. I have shared these with Kaij and Kelton. I just don’t mention the zucchini and they don’t seem to notice. 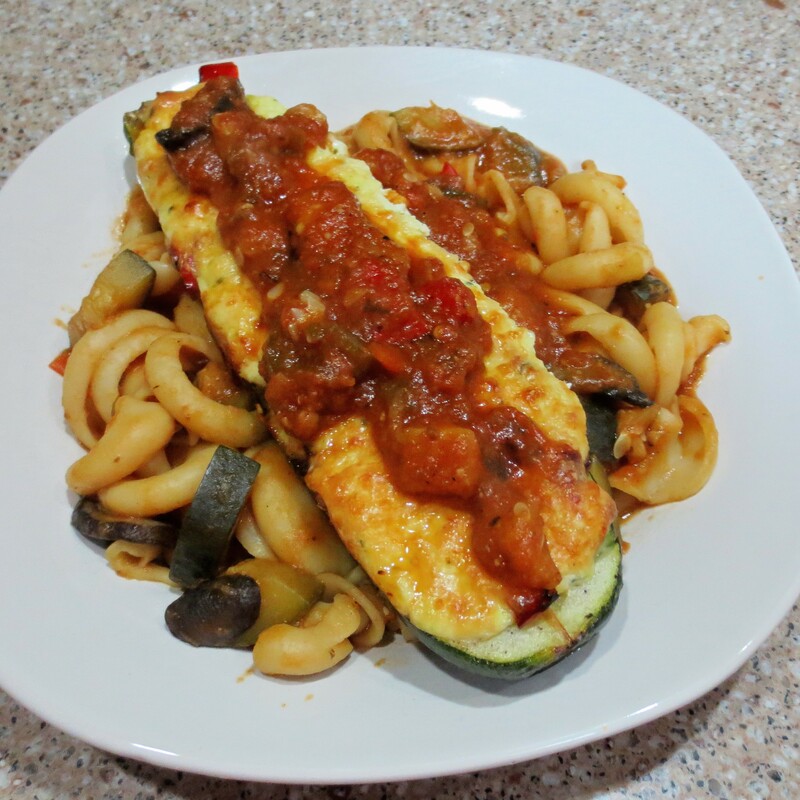 If you go to the box on the right hand side of this page and do a search for “zucchini” you’ll find a wide range of recipes. 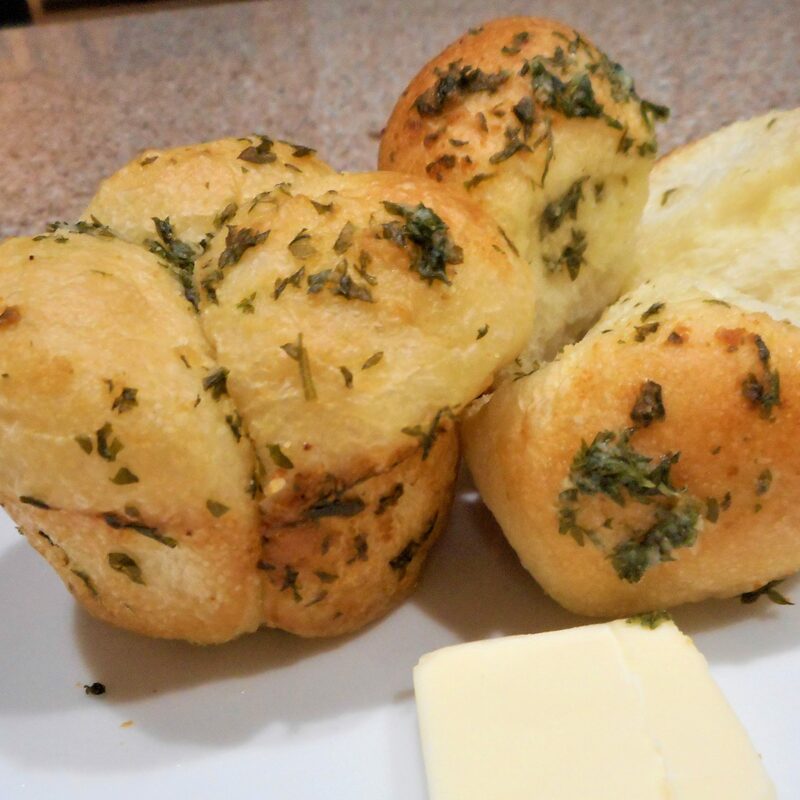 There’s everything from Apple Zucchini Bread to Ricotta Stuffed Zucchini and more. It takes a lot of recipes to use up all that squash! I just keep on cooking. 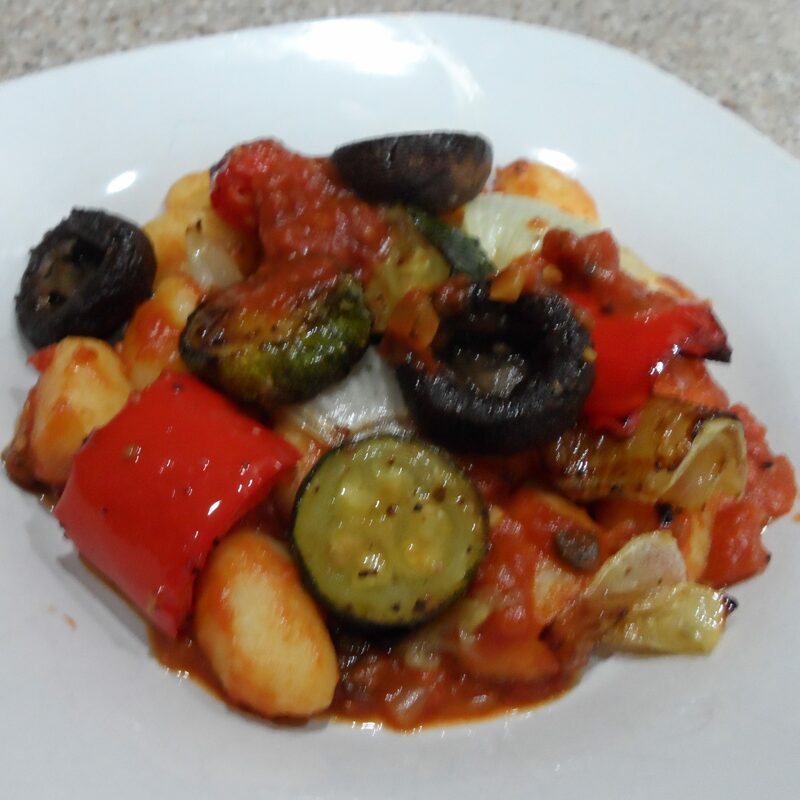 My Roasted Vegetable Medley takes advantage of everything growing in the garden, plus a little more. It’s good served over any kind of pasta or Cheese Grits, but I especially like it paired with Ricotta Gnocchi. Top it all with a little Homemade Marinara and Meatless Monday’s dinner is ready. It’s corn season, too! We go to Brown Farms for that every year. I buy a couple dozen ears and we spend an afternoon putting up Cream-Style Corn to enjoy all winter. This years’ crop was sweet and juicy thanks to all those spring rains. In fact, that corn is so sweet you’d swear I added sugar to the pot but I didn’t. It’s the best corn I’ve gotten in several years. And then there’s the tomatoes. We’re fighting that pesky squirrel again and I’m afraid it’s a losing battle. Michael surrounded the garden with chicken wire and then put bird netting over the top of it all, but that darned squirrel gets in anyway. I don’t know how he does it. He only takes the ripe tomatoes, so Michael has been picking them just as they start to turn. I wish we could leave them on the vines a little longer, but thanks to our “friend” that’s not an option. Too bad he won’t try the jalapenos! I’ve been making a couple of kinds of Homemade Marinara Sauce and freezing that as well. Some sauce is plain and some is thickened with our eggplant. I sometimes blend the Eggplant Marinara till its smooth. There’s another veggie the kids don’t know they are eating. While I’m at it, I’ll turn some of the tomatoes into Pizza Sauce and I can’t forget Michael’s favorite Fresh Tomato Soup. I freeze the soup as a concentrate and add milk or broth when I cook it. Forget that stuff in the red and white can. This is so much better, either served as soup or in a recipe. 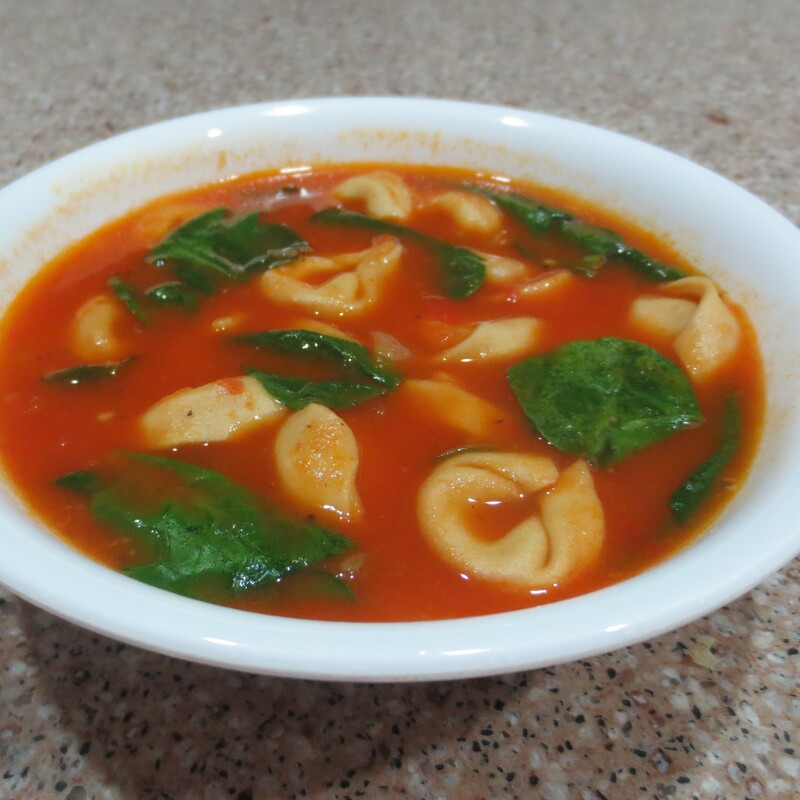 Try Fresh Tomato, Spinach, and Tortellini Soup if you’d like a little variety in your lunch menu. 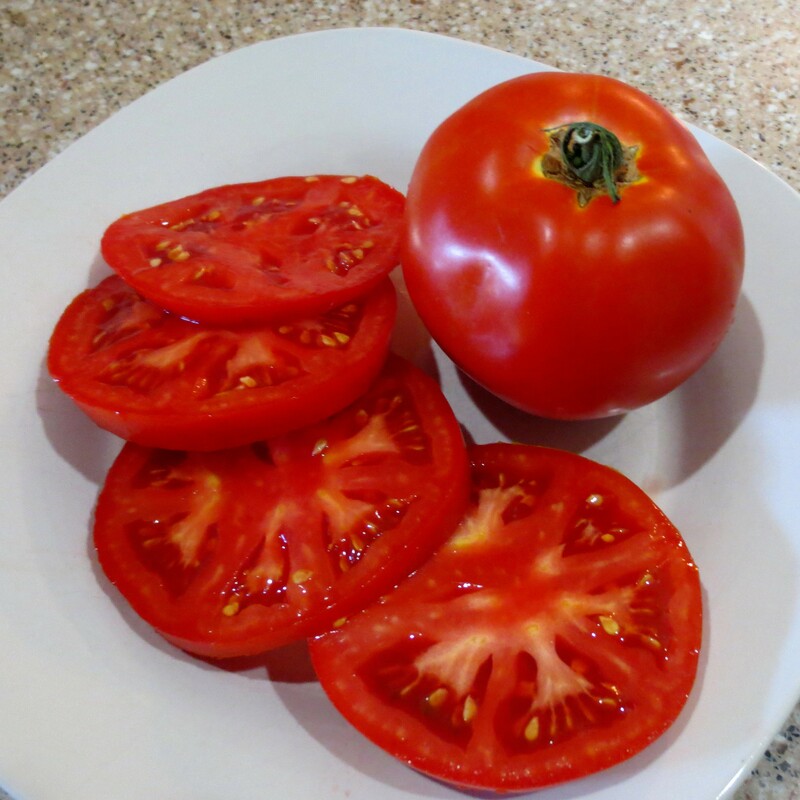 Of course, there’s still nothing better than a good old summer tomato sliced up and sprinkled with a little salt. I almost forgot the peppers! 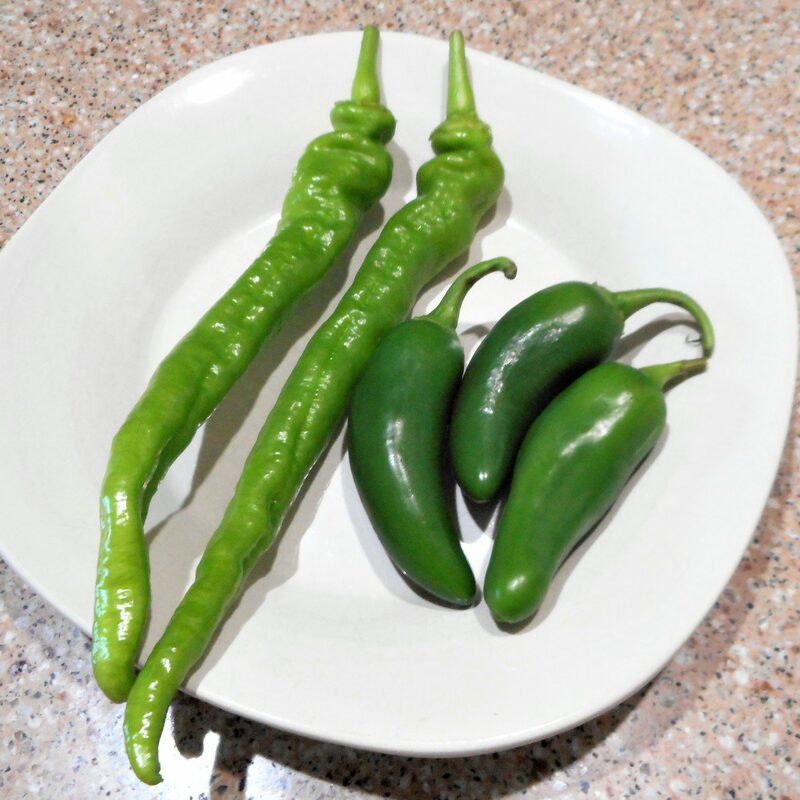 We grew two kinds this year, jalapenos and cowhorns. The cowhorns are a little spicier than the jalapenos. I combined the two, added a red bell pepper for color, and made a few jars of Pepper Jelly. 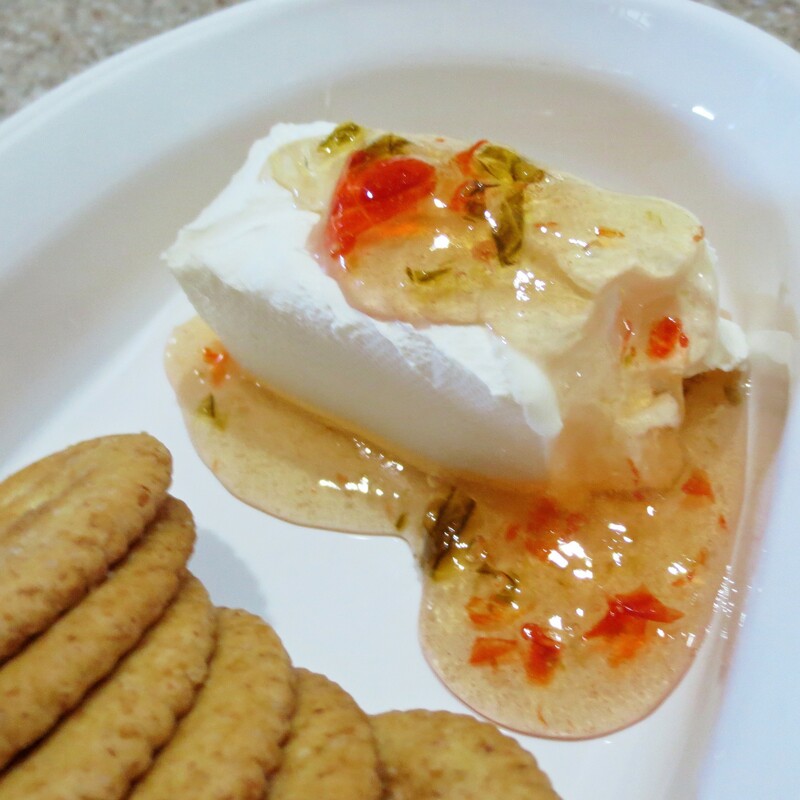 The pepper jelly is good served over a block of cream cheese to spread on crackers. Well, that’s about it for the produce patch this year. Now I just have to stop myself from going to buy out the farmer’s market. There’s no telling what kind of trouble I could get myself into there. Hmmm…some pink eyed peas might be nice! 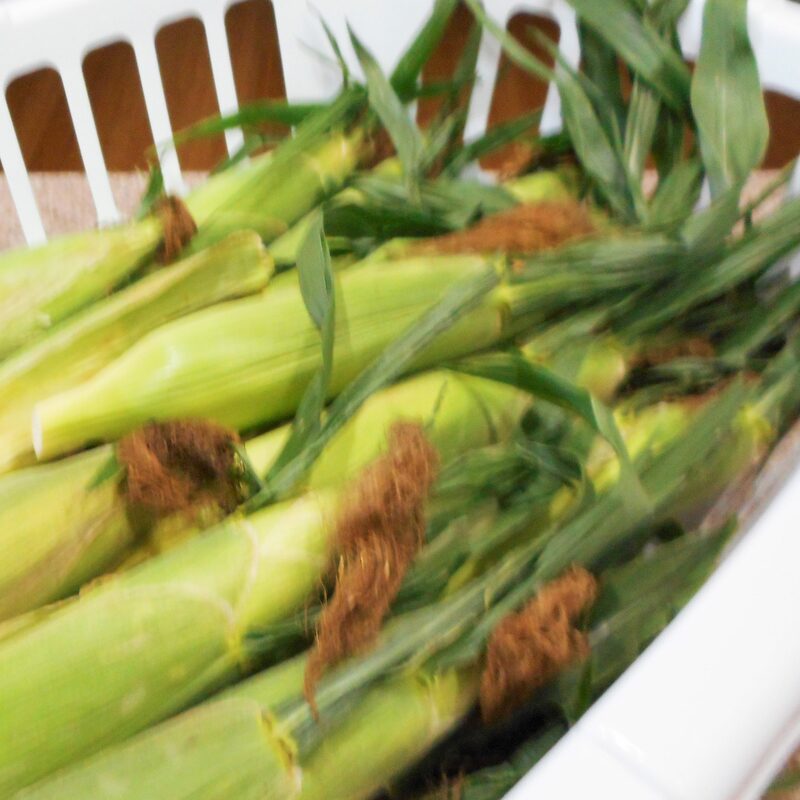 This entry was posted in Uncategorized and tagged corn, desserts, freezer, ice cream, menu planning, peaches, recipe ideas, tomatoes on July 19, 2017 by lizziesmom2012.